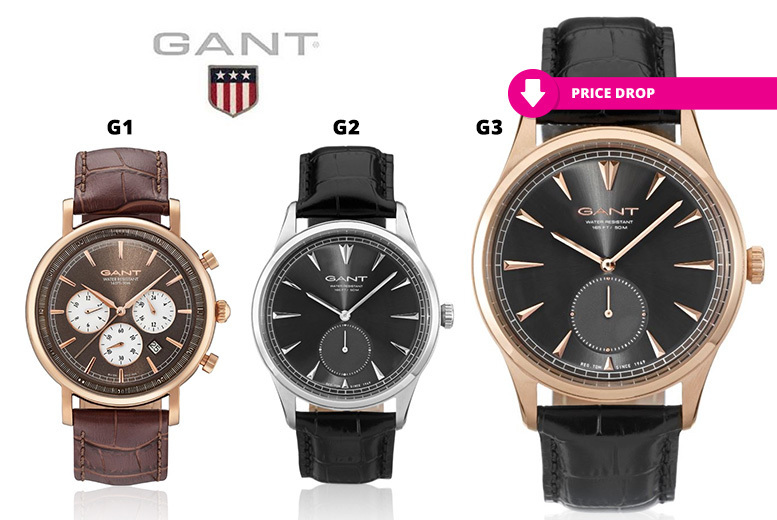 Get a men’s leather Gant watch. Leather straps in a variety of colours. Gorgeous dials ranging from 41.5mm-44mm. Central sub dial – plus Gant branding!